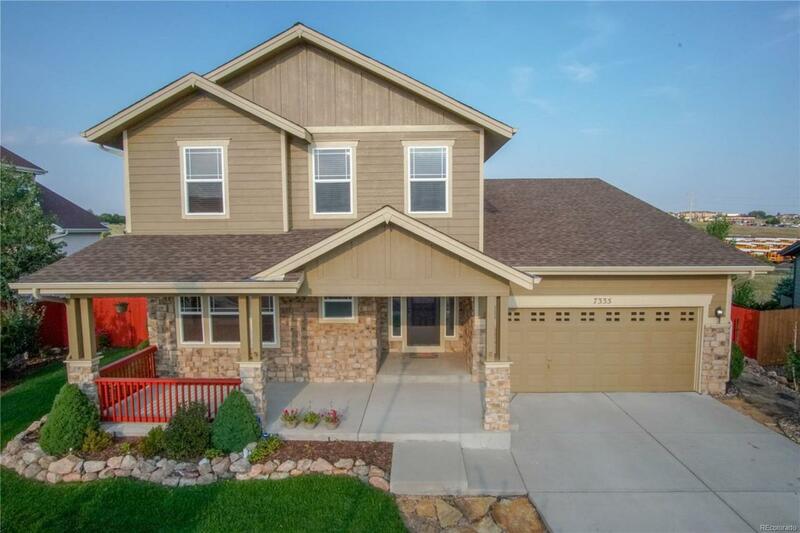 Desirable D20 Woodmen Pointe home which has been beautifully maintained inside and out. There are many major appealing features: large covered front porch area; open concept floor plan and practical main level living; upper back deck; backs to open space; Pikes Peak and mountain views; walk out basement; and 3 car garage. The main floor has both the large master bedroom with 5 piece attached bath, laundry area with cupboards, dedicated office with french doors, 1/2 bath, open updated kitchen with an abundance of cabinet and counter space and large kitchen pantry, living room with gas fireplace and a dining area which walks out onto the back redwood deck. The upper level has 3 large bedrooms with generous closet space, full hallway bath, and bonus of a loft area. The back and side yard areas are level, fully fenced, and have charming raised planter beds ready for your green thumb!